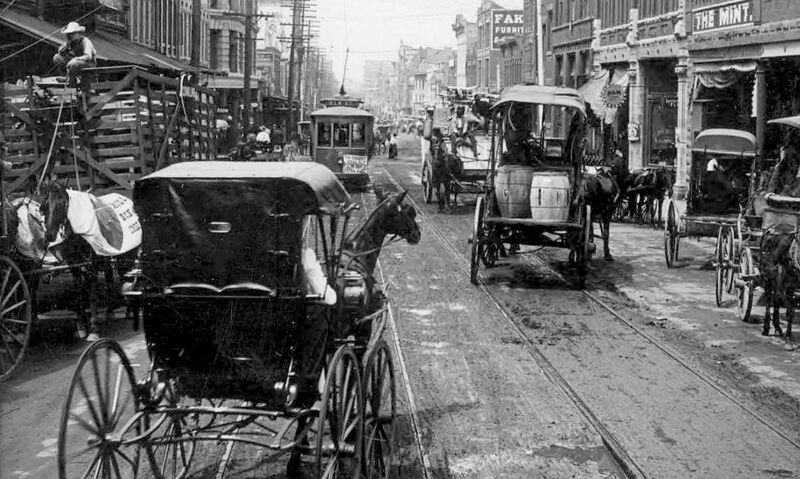 Automobiles would be rolling down Elm Street very soon, but even when the traffic was still mostly horse-related, there’s a lot going on here: horses, buggies, barrels, saloons, a bored kid on a wagon, a street car, and the Wilson Building. And what was The Mint? 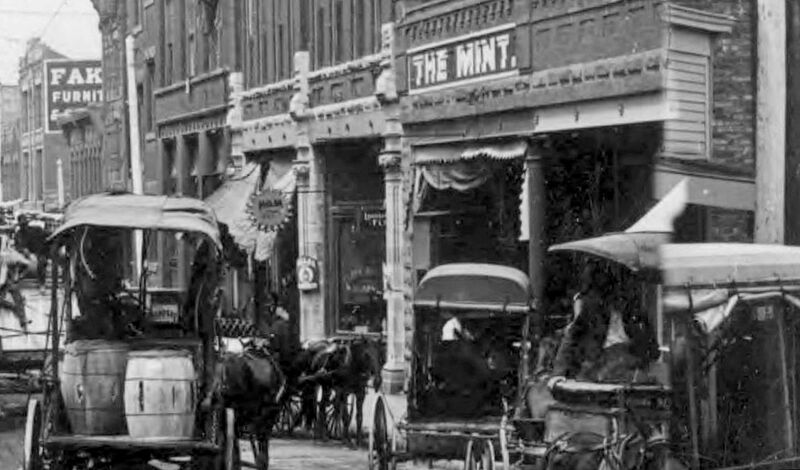 The Mint was a saloon. 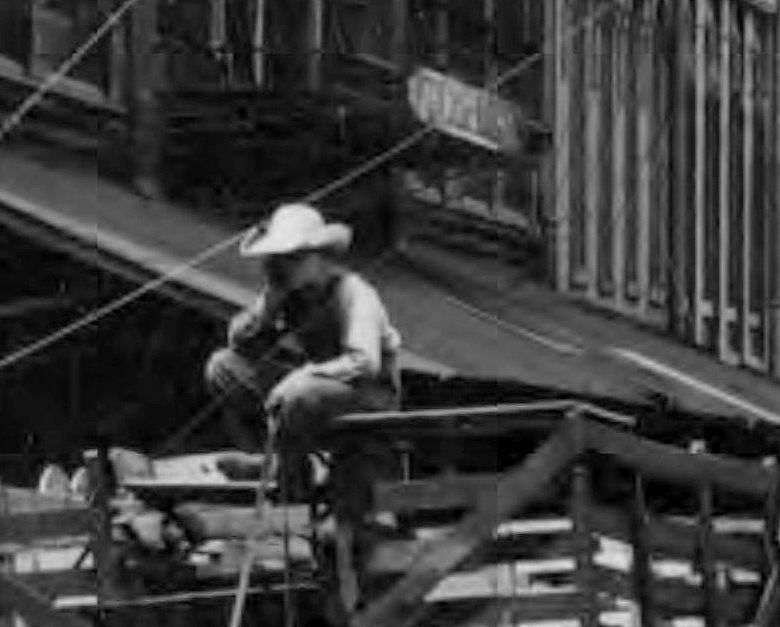 I’m not sure when it first set up shop in Dallas, but it was listed in an 1877 directory, one of the city’s earliest. Speaking of 1877, read about a typical frontier day at The Mint in two accounts of a stabbing, from The Dallas Herald in April, 1877, here, and the follow-up, here. Photo is from a stereograph titled “Everyday Life, Elm Street, Dallas, Tex.” from the Keystone-Mast Collection, UCR/California Museum of Photography, University of California at Riverside; it can be accessed here. Like the kid on the wagon a whole lot; wonder if he got wet in that shower? And looming over The Mint is one of Nabisco’s Uneeda Biscuit signs. Nation-wide advertising has well and truly arrived! 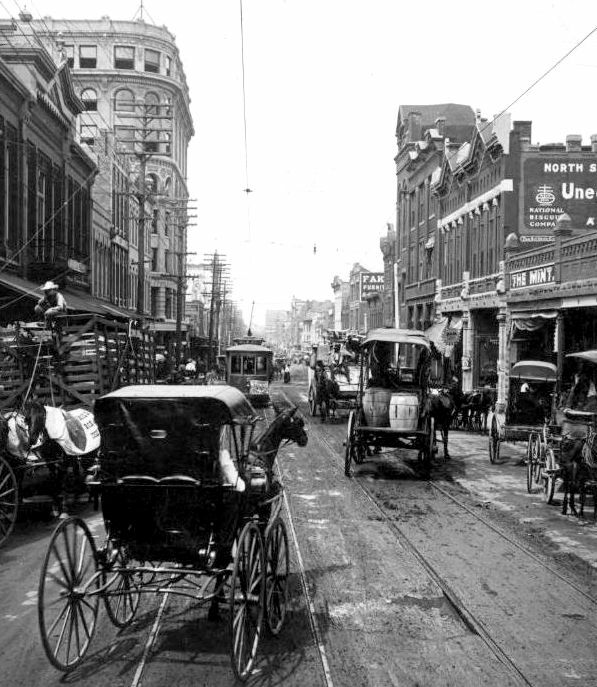 Thew mint was a saloon and a great one at that……the iron cast store front was a very good logo that had European facade from New York and St Louis…Dallas in 1905 was a perfect time and place with so many German Immigrants that you hear so little about….great story….